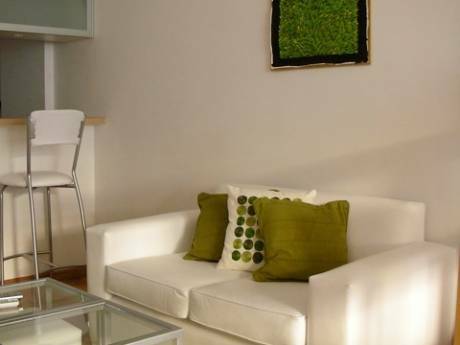 The apartment is clean and spacious in the center of Buenos Aires in the limit between the elegant area of Barrio Norte/Recoleta, trendy Palermo and the tango area of Abasto. It is a 2 story loft-like apartment. It has double height windows, a balcony that overlooks the street, a private patio and another balcony on the second floor that overlooks the patio. It has a guest bathroom downstairs and a full bath upstairs. 45 mt2 living room/dining area (part of it could be turned into work space for longer term exchanges). Plenty of billingual reading material. Although the apartment is not prepared for children arrangments could be made. Very comfortable for 2. We have an extra queen size mattress. Next door to grocery store. Lots of take away options in the areas (italian, chinesse, sushi, regionla, peruvian, sushi...). Jacuzzi and BBQ on building's terrace. (only 8 apartments in bulding). arrangments for maid and laundry service can be made. 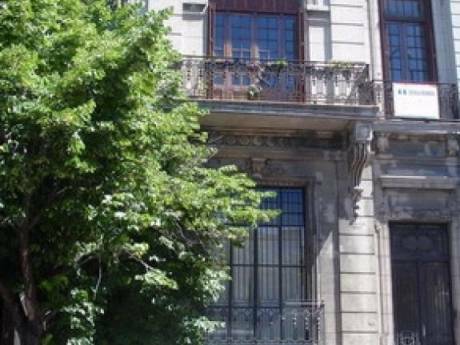 It is idealy situated in a residential area and at walking distance from museums (MALBA museo de arte latinoamericano and Museo Nacional de Bellas Artes) parks (palermo and recoleta restaurants and night clubs. 3 blocks away from Palermo University. 8 blocks away from 2 shopping malls. 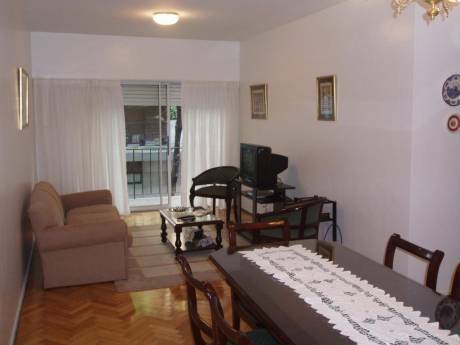 Sports center couple of blocks away.Bus stops and subway stations in the area. U$ 3 to U$ 5 taxi ride away from almost everywhere.